In this column, I’m looking at RPG-related Kickstarters and interviewing the creators to find out what makes their project standout from the rest. 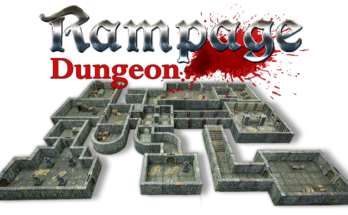 This week, I’m talking with Alyssa Raabe, a gamer who is revamping an old but proven idea and bringing it to the world of RPGs. Sometimes the hardest part of gaming is finding a table to play at and that’s where Alyssa’s campaign comes in. EGG EMBRY – Thanks for talking about your campaign. You’re a gamer with something of a mission, yes? 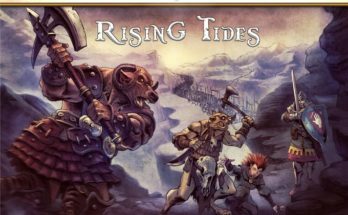 What is your Kickstarter and what are you hoping to achieve with it? ALYSSA RAABE – I’m making LFG (Looking for Group) stickers, magnets, and window clings that gamers can use to help them find other gamers. One person called it a bat signal for gamers, which is pretty much perfect. It’s a simple, discreet design that will show other gamers you’re looking for a group, but that non-gamers won’t recognize so you avoid awkward conversations where you’re trying to explain D&D and they look at you like you’ve grown another head. It’s a stigma that’s fading, but unfortunately still there. My biggest hope is that it will help other gamers find games, or at least open conversations and help build friendships. EGG – What inspired you to produce these stickers? ALYSSA RAABE – It started when I posted my rather hilarious year of mishaps in attempts to find a group after moving from Texas to Kentucky on the Pathfinder facebook group. The response was massive, I had thought I was the only one to have such ridiculous luck, but it turns out tons of people have a hard time seeking out a group. There are online options, but not everyone uses the same websites. Someone there suggested game books come with stickers, and I liked that idea so much I decided to make it a thing. I’m still looking for that group, by the way. EGG – Do you have a background in graphic design? Speaking of background, what games do you play? 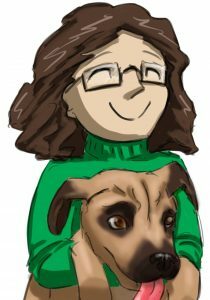 ALYSSA RAABE – I have a background in visual effects, and have done some small work with TGWTG and Linkara, though that was a while ago. It isn’t quite the same thing but the two are related. Thankfully I do know photoshop well enough to create something simple like this. I knew a clean, basic design would be easiest to spot from a distance, and wanted to make it as universal as possible to tabletop gamers. 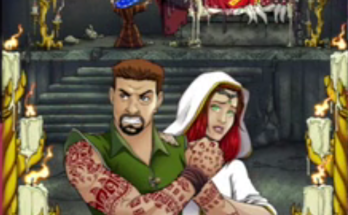 As for games, Pathfinder! It’s not the first tabletop I ever played, but it is definitely my favorite. Also, I’ve really enjoyed Star Wars Sagas and Mutants & Masterminds. I’ve played a small bit of D&D 5e, Palladium, and Spycraft, but not to say I know them well. EGG – Where can fans find out more about you and your project? ALYSSA RAABE – Right now all I have is the Kickstarter, and an email where I can receive feedback. I’m working on a Discord server as well, it’s not quite finished yet but the link is https://discord.gg/CXdDaQ9 for those who don’t mind a work in progress. The email is lfgstickers@gmail.com, I’d love to hear people’s ideas and suggestions. Oh! I do have a twitter, @charade539. I’m not much on social media but I try to check it every so often. As a quick note, once the stickers are produced I will be aiming for pins next, that seemed to be my biggest suggestion so far. I’m really hoping this becomes a thing, I’d love to know it helped people find local groups! 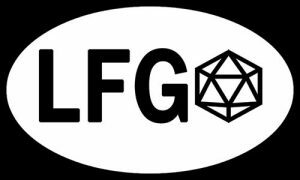 To learn more about the LFG Stickers for Tabletop Gamers, check out the Kickstarter page here.